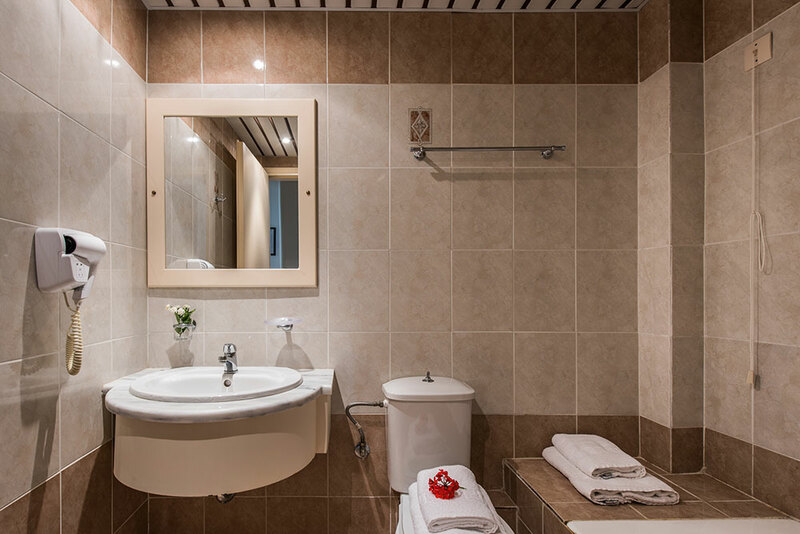 The flawlessly designed rooms of Golden Sun Hotel offer every comfort and convenience you could possibly expect. 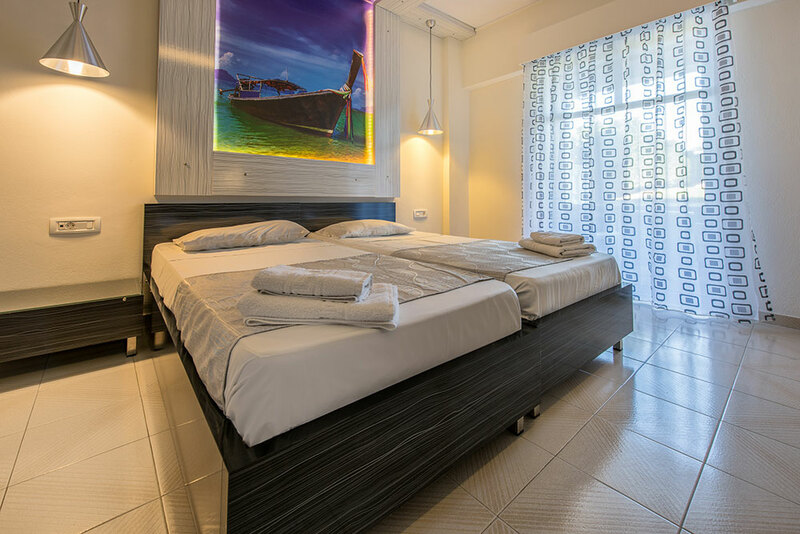 All rooms dispose of TV set, direct external line telephone, sound system (with three different choices) air conditioner, private bathroom equipped with shower or bathtub and hairdryer. 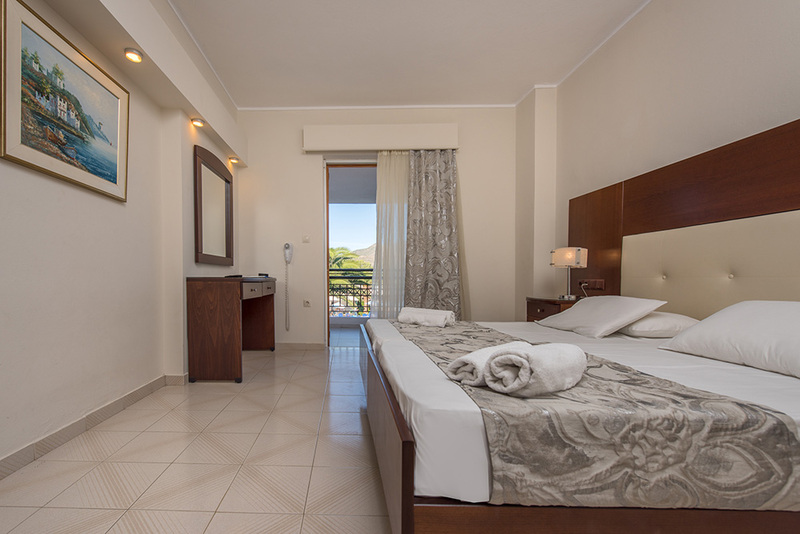 Each and every room disposes of spacious verandas, offering great view. Our room service team is always close at hand and willing to make your sojourn as pleasant and comfortable as it may be. 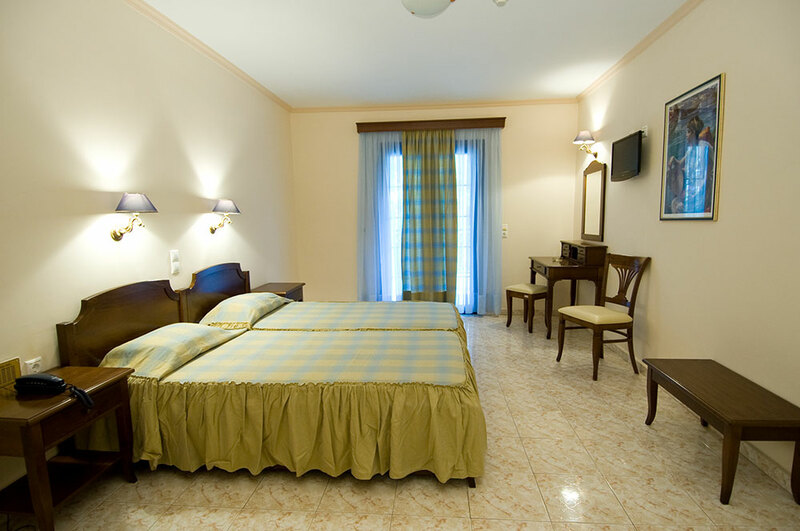 A great choice for singles who want to enjoy their holidays. 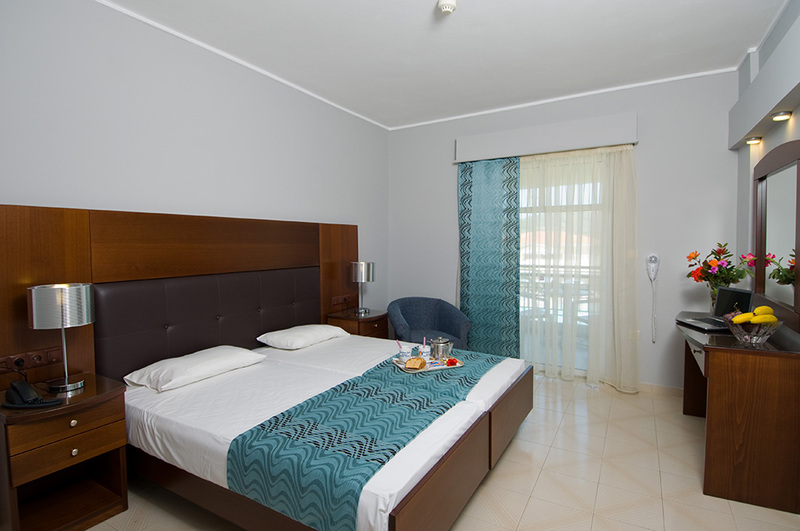 The room disposes of every possible facility: hairdryer, air conditioner, TV set, kettle, mini bar and internet access. 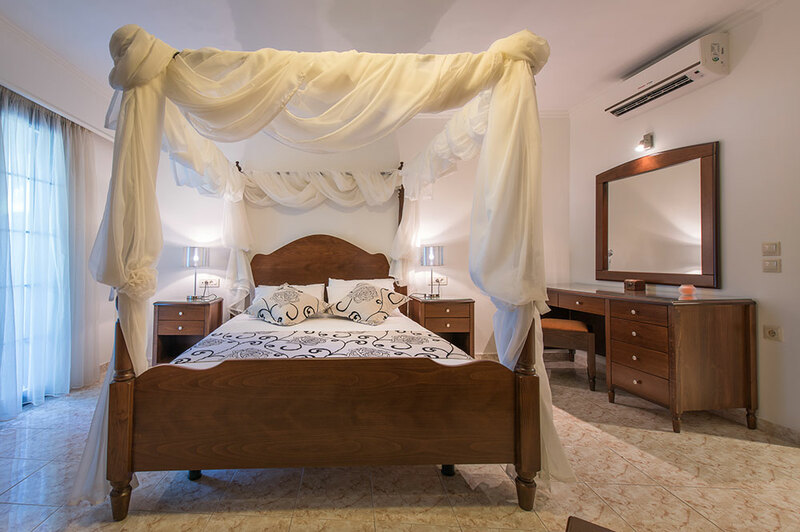 The classical finesse room disposing of two single beds or one double bed. 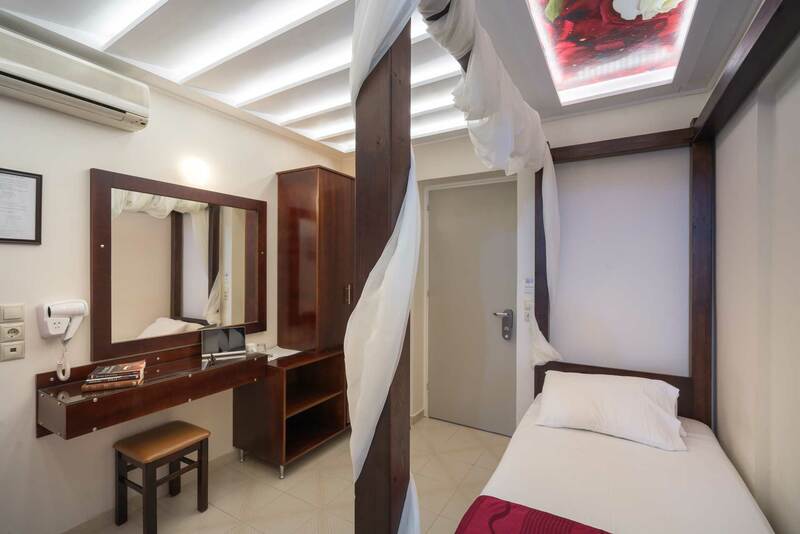 This room is ideal for accommodating two or three guests and disposes all useful facilities: hair dryer, air conditioner, TV set, mini bar and internet access. 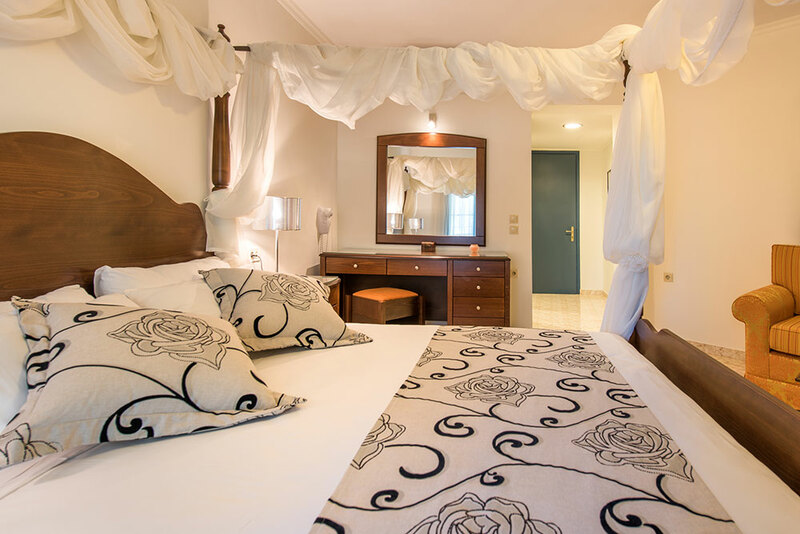 This type of suite is the ideal choice for families or couples celebrating their honeymoon. 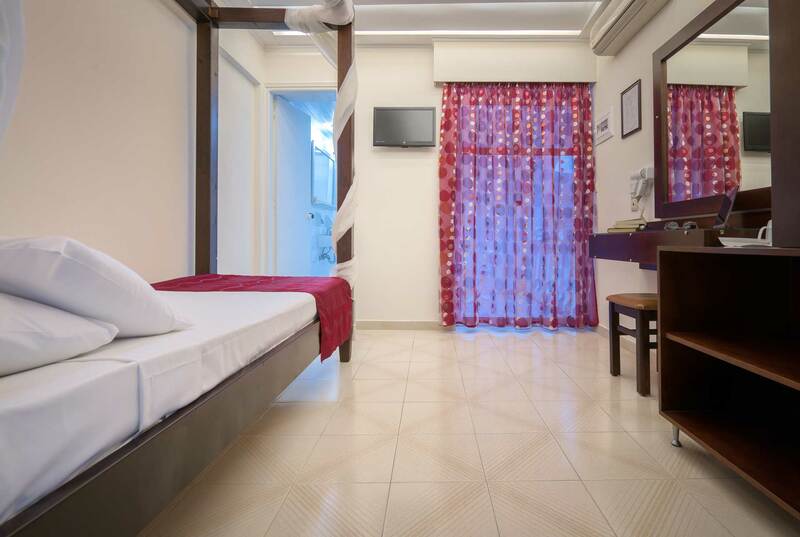 The suite disposes of a king size bed, as well as a small sitting area, remote controlled air conditioners, TV sets, mini bar in the room, telephone and internet access. 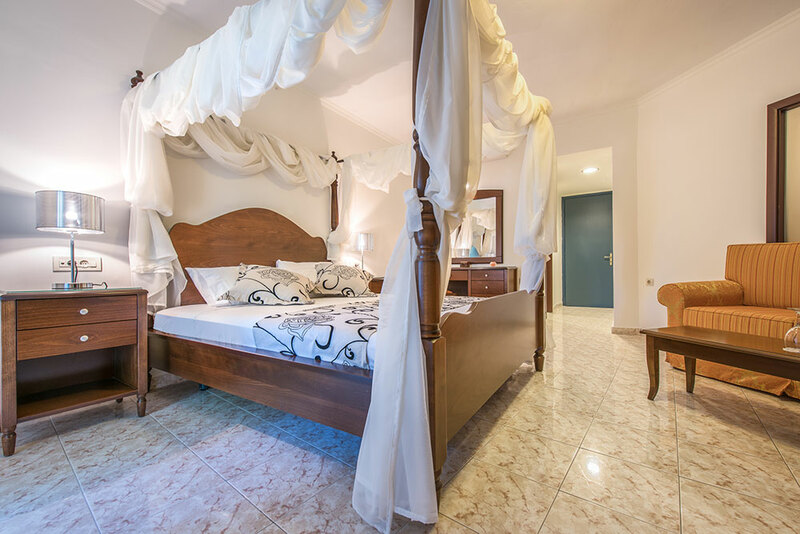 The second room is equipped with two single beds and is decorated specifically for the children of the family! 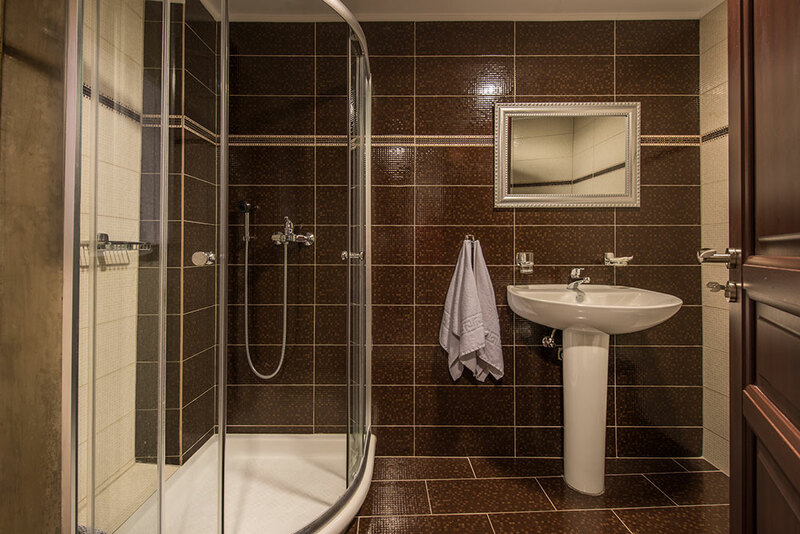 The full size bathroom disposes of hair dryer and all personal amenities. The suite offers a nice garden view!